LAKE SUCCESS, N.Y., January 23, 2008 – Canon U.S.A., Inc., a leader in digital imaging, today announced the launch of two new telephoto lenses for use with its EOS SLR cameras: the EF 200mm f/2L IS USM*/** and the EF 800mm f/5.6L IS USM*/**, the world’s longest focal length lens with an Optical Image Stabilizer system. *** The Company, which exhibited prototypes of the lenses during PhotoPlus Expo in New York last October, is launching them at the PMA tradeshow (booth E101) at the Las Vegas Convention Center, January 31 to February 2. The EF 800mm f/5.6L IS USM and EF 200mm f/2L IS USM are professional L-Series lenses that incorporate the latest generation of Canon’s high-performance Optical Image Stabilizer system (OIS), giving them a stabilization effect equivalent to a shutter speed four settings faster. In addition, they feature optical systems utilizing fluorite and UD lens elements to provide excellent chromatic aberration correction for high-resolution, high-contrast shooting performance. Both lenses use only lead-free glass, and also incorporate lightweight yet durable magnesium alloy lens barrels with enhanced resistance to moisture and dust. The Canon EF 200mm f/2L IS USM is an exceptionally sharp lens that is significantly lighter (2520g/5.5 lbs. vs. 3000g/6.6 lbs.) than its predecessor, the renowned EF200mm f/1.8L USM lens, while adding OIS and a weather-resistant design. Ideal for all kinds of low-light photography including portraiture as well as indoor sports, the EF200mm f/2L IS USM has a close-focus setting of 1.9 m/6.2 feet and a circular aperture system that enhances its background blur rendition at wide apertures. 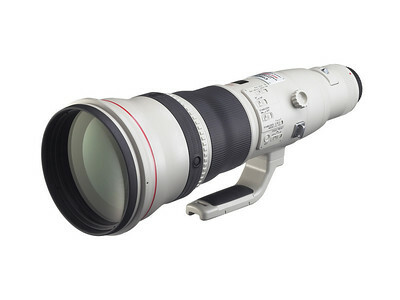 The Canon EF 800mm f/5.6L IS USM is not only the longest focal length lens available with OIS, it is also virtually the same physical size as the EF 600mm f/4L IS USM (461mm vs. 456mm), while weighing nearly 2 lbs. less (4500g/9.9 lbs. vs. 5360g/11.8 lbs.). These outstanding features were made possible by the use of a lightweight magnesium alloy lens barrel construction and a state-of-the-art super-telephoto optical system featuring 2 fluorite elements as well as Super UD and UD glass elements. The EF 800mm f/5.6L IS USM is well-suited for a wide variety of long-range photo applications such as wildlife and nature photography as well as sports and documentary photojournalism. 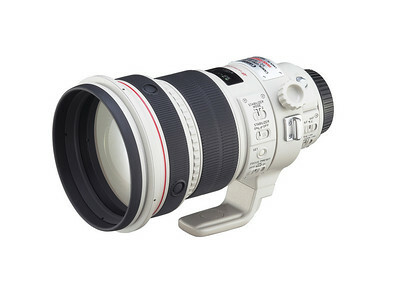 The new Canon EF 200mm f/2L IS USM is scheduled to be available in April at an estimated retail price of $5,999.00 and the new Canon EF800mm f/5.6L IS USM is scheduled to be available in May for an estimated retail price of $11,999.00.